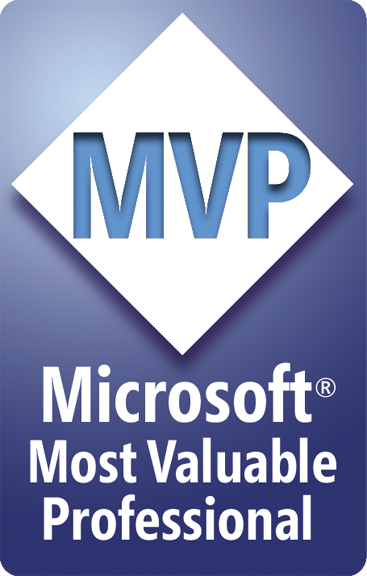 « MSDN Forums SharePoint Task Force – A Call to Arms! This entry was posted on December 12, 2010 at 1:42 AM	and is filed under SharePoint 2010, SPD 2010, Workflow. You can follow any responses to this entry through the RSS 2.0 feed. You can leave a response, or trackback from your own site. Are you sure “Actions” is the right word. I though one would e.g. refer to “Collect data from user” or “Pause for duration” as a SPD2010 “Action” (as they are even called actions in the menu). How do fields (date/time & peoplepicker) classify as actions? What would you prefer to call them? “Collect Data From User” is a workflow activity. The “actions” I’m referring to are the new options you have within an activity that are contextually based on the data type of the selected field. This post isn’t about the fields themselves. It’s about the actions you can perform when referencing these fields types. I wasn’t talking about the behavior of a People Picker field. I am showing the available actions when referencing a People Picker field within an SPD workflow activity. It’s more of a reference for myself that may be useful to others. I don’t know if these “actions” have an official name, but I don’t consider it that important to worry about either. Fair enough, Clayton. Looking for more when you collect them – as it stands right now I don’t see the use in collecting this, but others might. Keep up the good posts! Dennis, perhaps you are able to memorize them all, but I find so many new things that are available that I cannot remember the exact syntax of every possible action, and it gets old writing each action result to the history log before being able to decide which option to choose. None of these were available in 2007, so it’s a whole new ball of wax in 2010. With a comprehensive list of all the available options and what they do, it should save me and a lot of people a lot of time. I’m not sure why you see no use in it. I have a SharePoint Designer Workflow. I also have workflow Initiation form. Now i want to have a Field in that form (initiation form) that pulls data from an external LOB system. The only way in SharePoint is through BCS. So, is there any way i can have a field that refers to external list through BCS. I know that you cannot have things like lookup columns and people picker. So, my intuition says that – even BCS columns cannot be added on the Initiation Form. Initiation forms are done in InfoPath – SPD allows you to create and configure the Initiation Form Parameters, but you do the customization inside InfoPath. I replied on MSDN, and my suggestion there does work. Create a data connection in InfoPath to your external list, then add a new initiation form parameter (single line of text), and bind that new text field to a dropdown. Lastly, connect the dropdown to your secondary data connection that retrieves data from the external list. I just tried it, and it worked. I have some issues associating the Custom Approval Content type to the Infopath Approval workflow form. I had imported the Approval workflow to Visual Studio 2010 which i had created using SharePoint Designer 2010. After the import, I have setup the missing pieces which occurs. I am able to associate the Workflow to the list/content type, Workflow is getting started/initiated and task is getting created but the Approval Edit Task form is blank. I think the Custom Approval Content type is not getting associated with workflow. Below is the element manifest file of the approval content type which got created after the import. Amal, I’m not familiar with what you’re trying to do. I don’t write code and don’t employ any code in my solutions, so I’m not sure how to fix your problem. When i try to use the User Profile data source, the Account Name value filter is is not working for me because it requires domain\userId. When i set the Return Field as to Login Name it returns data as FirstName LastName which causes an error. any idea how i can work around this? I am using sharepoint designer 2010 list workflow.If i try to do some changes and re publish the workflow, it keeps running the old version. I checked by removing all the previous versions from workflow settings but no success. Any idea why workflow updates are not reflecting on list item? Thanks in advance.